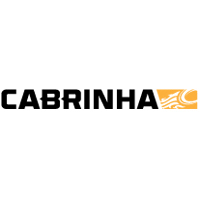 The Airlock high volume one way valve is a Cabrinha exclusive. 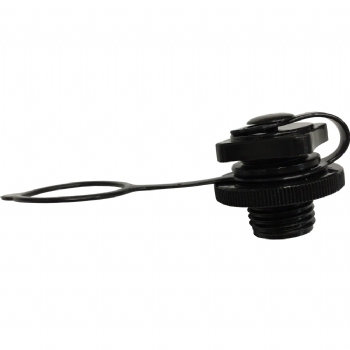 While inflating, the one way valve does not allow air to escape, even when the pump nozzle is pulled out. The extra large opening allows for even the largest kites to be pumped up in minutes. By unscrewing the deflation cap the kite will deflate and be ready to be rolled up in seconds. 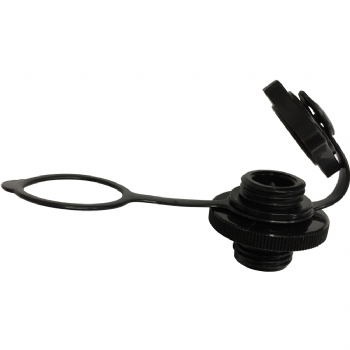 The Airlock valve is secured to the leading edge with an “O” ring so the bladder is not able to spin inside of its casing. 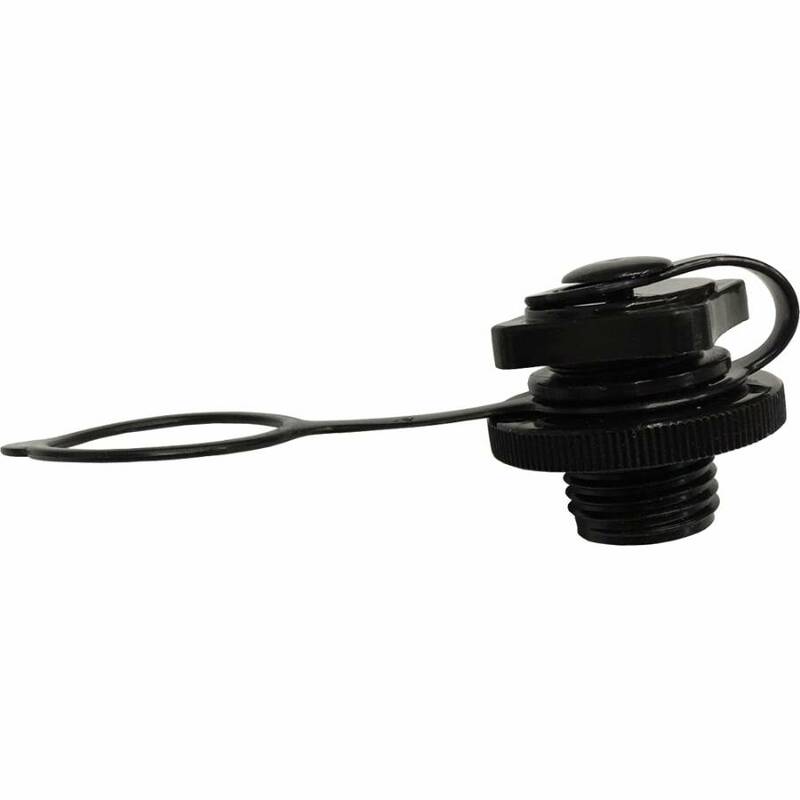 The threaded valve cap makes it virtually impossible for the accidental opening of the valve during an impact on land or water. For use with 2013 and prior Cabrinha valves and is also compatible with 2008 Best EZ pump. • Make sure that the release valve is seated firmly by turning clockwise. Do not over tighten the valve when the kite is not inflated. Doing so may damage the bladder. • Open the inflation cap by screwing it counter clockwise. Insert the pump (use the adapter tubing if using a hand pump) and inflate the leading edge (L.E.). • When the L.E. is fully inflated, remove pump nozzle and screw the inflation cap back on. Check that the release valve is secure. • Do not under-inflate Leading Edge. • In order to deflate L.E., you must unscrew the release valve and not the inflation cap. The release valve is the lower portion of the AIRLOCK. • After deflating, clear valve of any sand or debris, then seal the valve before stowing kite to prevent debris from getting inside internal bladder.